Home / Editor's Choice, Entertainment News, Forum and discussion, Gossip and Drama, Lifestyle / British man rants at the UK government after a Kenyan slay queen he met online is denied Visa. British man rants at the UK government after a Kenyan slay queen he met online is denied Visa. 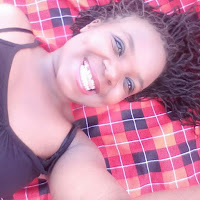 Monday, February 4, 2019 - A British man has launched a scathing attack at his government after his Kenyan girlfriend, Chepkemoi Tallam, was denied visa for the second time. The Briton by the name Chris Philips, who works at Sky TV, is livid and frustrated as he cannot host the Kenyan beauty because the British government is not sure if she will return to Kenya. The two met on social media 10 years ago and became very close but they have never met physically. Chris claims that he would not be alive today without the relentless support of Chepkemei after he was diagnosed with a heart condition and gained a lot of weight. However, he has since recovered fully and has been able to lose weight thanks to Chepkemei’s support. The British government has however thwarted his dream of hosting Chepkemei in the UK despite him pledging to finance the entire trip. He even sought the intervention of the British High Commission in Nairobi promising that Chepkemei, who lives in Nakuru, will not overstay. “I am saddened by the British government’s arrogant approach to this matter. Kenya gained its Independence over 50 years ago and I honestly believe it is about time that we stopped treating proud Kenyan people like second class citizens,” he told a British tabloid. “It was quite worrying for me and it also appeared to question my right to be in the UK, which as a proud British citizen who has served his country with pride it quite frankly disgusted me,” added Chris. He has now written to his local MP to help him get a visa for Chepkemei. It's just that Kenya is a third world country and thus people from this country are viewed as scum.